Despite being a city that is home to over 16,000 eateries, Dubai has been seriously lacking great dining options in a category that might surprise you – modern Arabic. Morah’s wonderful levant cuisine certainly raised the bar, but its stint was sadly short lived at the top of the JW Marriott Marquis towers (now replaced by the lively Hotel Cartagena). 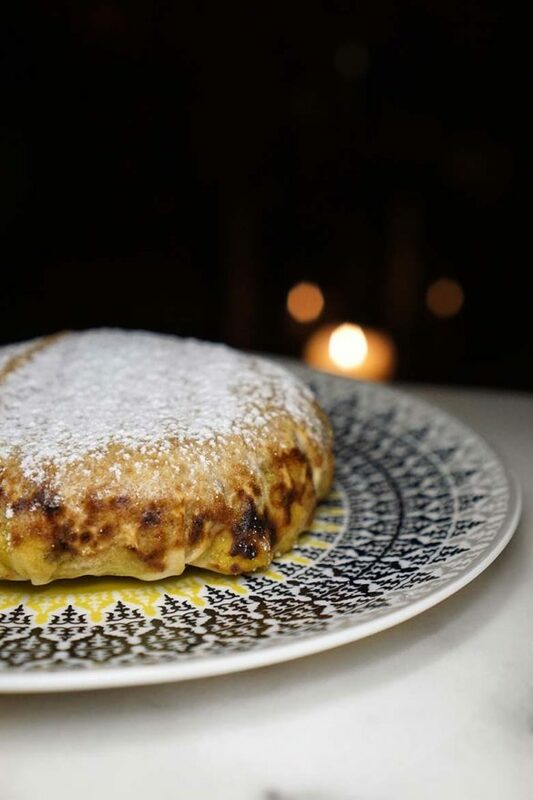 Zahira also attempted a shot at the crown of Dubai’s best Arabic restaurant but it too closed its doors before its first anniversary, with food perhaps a touch too rustic to capture Dubai’s spoilt and fickle fine diners. Enter Ninive, an alfresco venue that was originally meant to be just a shisha bar…but with shisha comes drinks and with drinks come food…and so we have the full blown restaurant concept that is Ninive today. Whilst it also hasn’t reached it’s first birthday just yet, given that it hails from the mastermind team behind neighboring venue La Cantine du Fauborg, we have no doubt that it will be blowing out that candle very soon. It’s a close relationship between the two restaurants, and for that reason we had high hopes for our meal at Ninive. 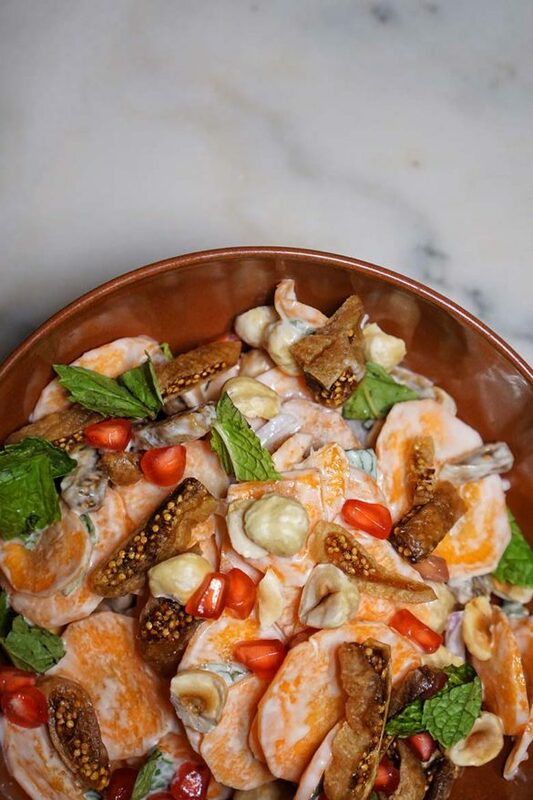 Chef Gilles of La Cantine was given just a few months to take his traditional French cooking skills and apply them to the nuances of Arabic cuisine, and with Chef Ibrahim at his side the results are ridiculously impressive. 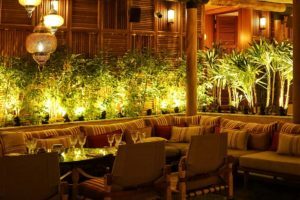 The usually-al-fresco-only venue is superbly positioned under the twin Jumeirah Emirates Towers and next to DIFC and Sheikh Zayed Road, offering some spectacular views as the sun goes down and the buildings light up. We say usually, as during our visit in July Ninive was fully enclosed in a tent to keep the searing summer weather out. It was still rather hot inside the tent (just not quite as humid as outside) so for those who fear the heat, perhaps keep those tastebuds at bay until the tent comes off again in September. As per standard operating procedure we began the evening with a cocktail – Ninive’s Orient Express, crafted from gin, arak, elderflower, pineapple and orange blossom. The floral and citrus notes ensured the cocktail was refreshing enough without being too sweet for the high summer temperatures, and strong kick of anise from the arak gave this drink a unique twist I’ve not come across before. Lovely by itself, and surprisingly, a great pairing with our fresh, fragrant and spiced starters. Speaking of starters, Ninive fired on all cylinders right out of the gate. 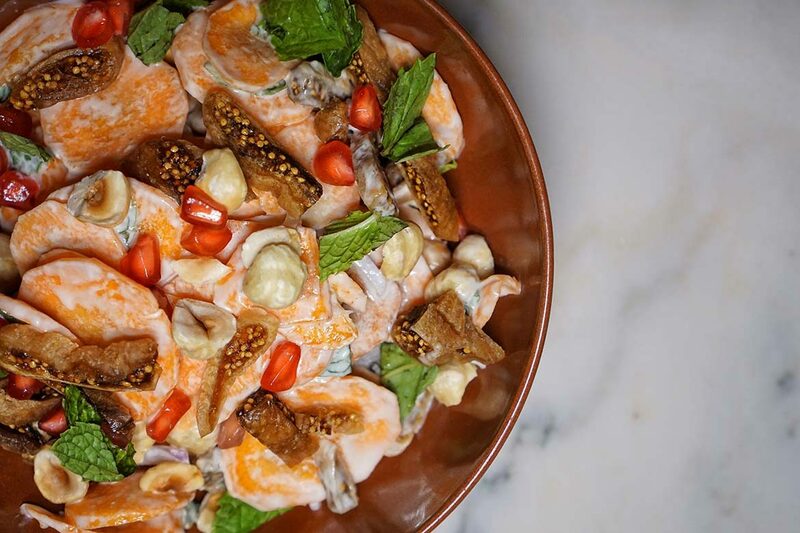 Our first taste of their take on Middle Eastern cuisine was their Carrot, fig, roasted hazelnut salad with tahini dressing and mint (58dhs) which while sounding simple, may just have been the best dish of the meal. I immediately declared I’d return just for this incredibly textural and well balanced dish, despite it being a humble salad. 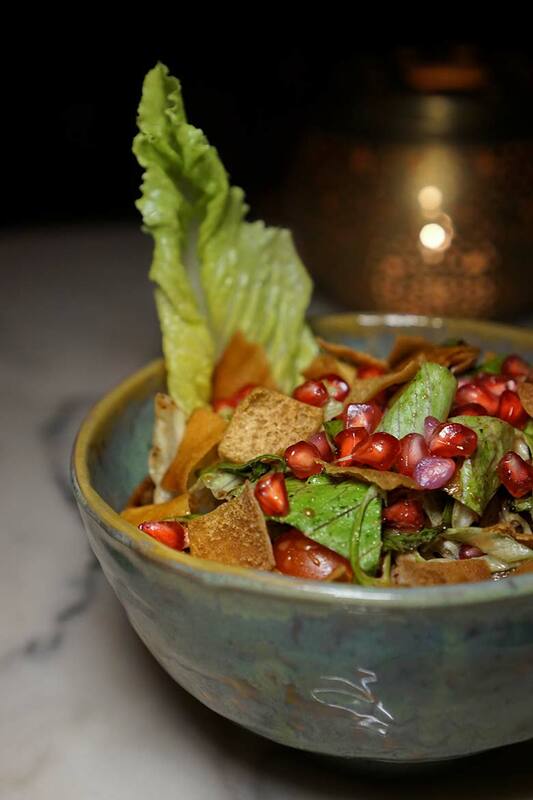 The Ninive Fattoush salad (57dhs) is lovely and just as expected (it’s tough to mess up fattoush really though, isn’t it?) but the Beef fatayer, cinnamon, pine seeds, raisins (98dhs) is the best example of the dish I’ve tasted. And yes, I’m well aware that Dubai is a ‘yes’ town where everything is the ‘best ever’, especially when it comes to people writing about food. Every restaurant is the ‘best’, the ‘most beautiful’ and let’s not forget, ‘ahmaaaazing’, when in reality this is often far from the case. For this reason we’re cautious about using such superlatives, but during this meal you’ll see us use this description more than once – and it’s definitely well warranted. The Heirloom cherry tomatoes, watermelon, grilled haloumi with pomegranate dressing (62dhs) is a classic combination that doesn’t disappoint, but the Tamarind chicken with yoghurt and parsley (78dhs), which we’re told is a take on La Cantine’s incredible beef short rib, is just too sour and probably ends up as the one miss of the evening. The Cheese and za’atar blinis with parsley, tomato and fig salad (125dhs) was tasty but just a little too close to goats cheese for my liking (I hate goats cheese, and it turns out this is in fact sheeps cheese which is a close second on the cheeses I don’t like list). 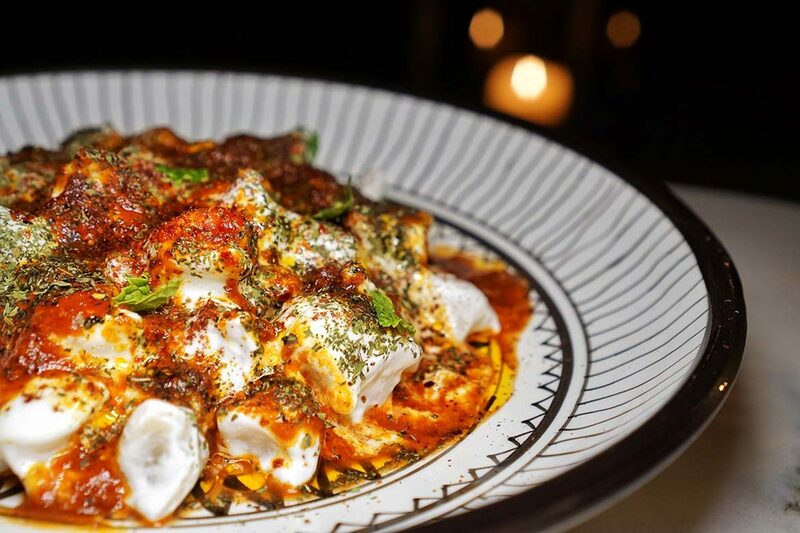 The Manti – beef ravioli, mint, yoghurt and tomato sauce (125dhs) delivered everything you want good Manti to deliver – it was an expensive portion but a large one so justified the pricing. The serving could easily cater for four diners. What came next was a revelation. We’ve eaten a lot of kebabs and a lot more Wagyu but Ninive’s Wagyu grade 9 tenderloin skewer marinated in Yemeni honey, chili and lemon (298dhs) just obliterated any competition. 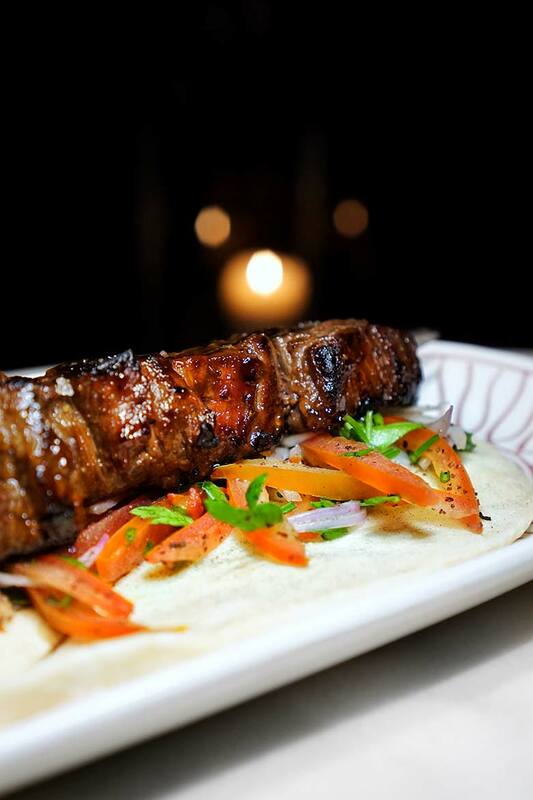 Ninive’s kebab will make you question the quality of any kebab you’ve eaten in your life thus far. The meat is beyond tender, crazily flavorful and even the usual throwaway bread sitting under the meat was pillowy soft and out of this world. This is a kebab that will ruin you for all kebabs hence forth. Though it sits at a steep 298dhs, we suggest you try this kebab at least once in your lifetime. There are some great Lebanese wines on offer, with a touch of French influence from La Cantine. We recommend you take the Ksara selection for a spin, but you’ll also find Baal and Chateau Musar on the list. Whilst we enjoyed the selection of wines offered, we were less impressed when it came to their service. Wines by the glass were poured at the bar, away from the table, and this is never ok at an establishment of this level for us. In addition, wines are mostly served in the decorative water glasses used in the standard table set up and these are entirely the wrong shape to be drinking wine from. Even reds were poured high into these small glasses, allowing no room to appreciate the wine and giving us that feeling of being at a sports club where they use tiny glasses filled to the rim for ease of stacking into industrial dishwashers. The glasses are much too thick and chunky to truly show off the wine – word is that only bottles of over 1000dhs and the most expensive by the glass wines are served in appropriate wine glasses. Guys, this has got to change and is really not acceptable at such a venue (especially when you go to the effort of having a fab list and fab sommelier, just to let the service down like this). When it comes to desserts, the Almond kunafeh with orange and almond sorbet (88dhs) is a must do. It impressed everyone at the table and would easily serve four people which makes its price tag the best on the menu hands down. We were rather surprised to see Trileche (50dhs) on the menu as this is the staple of Dubai’s one-million-and-one pan Latin restaurants and doesn’t seem at home here on this Arabic-centric menu. Serious sugar fiends might revel in this desserts condensed milk-soaked goodness, but it’s way too heavy for us at the end of the meal and just doesn’t seem to fit. The desserts do, however, fare better than La Cantine’s sweet selection, which has long been a rare weakness in their menu offering. 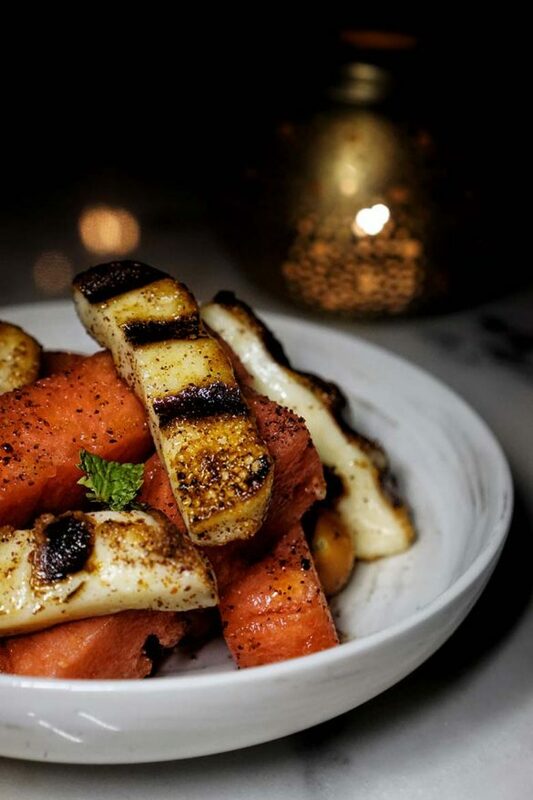 Despite being located in Dubai for years, we’ve struggled to find anywhere serving up a modern take on Arabic cuisine that delivers something truly special. 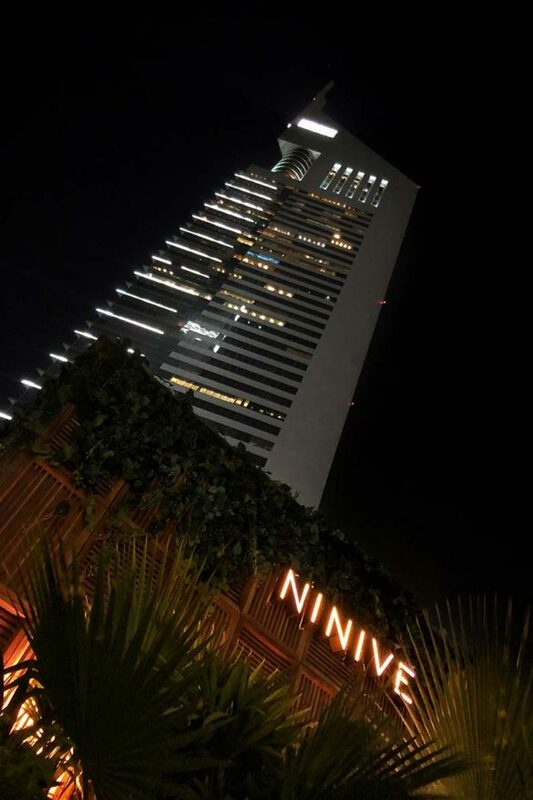 Ninive is hands down for us the best modern Arabic offering in town right now – whether you’ve been a Dubai resident for some time, have visitors in town or are yourself a visitor to Dubai, don’t miss feasting at the fantastic Ninive. In our humble opinion, this is hands down the best contemporary venue for Middle Eastern cuisine in Dubai. The food will blow you away, brining the skillful flavor balance shown at La Cantine Du Fauborg to Arabic cuisine. Even with the tent, it's a little hot in summer. We saw fans, but they weren't in use. The wine service needs to step up its game, both in terms of glassware and serving. Tables at the large booths are a little low and uncomfortable to eat at and more suited to a lounge environment. Is Carnival by Tresind’s 5th Season its Best Ever?